Newcon Optik is world-renowned for designing and producing laser rangefinders of the highest quality and performance. From small monoculars with a range of 3.5km to systems that can range moving targets at 20km or greater, Newcon Optik has a device that fills the needs of today’s war fighters. Our flagship laser rangefinders are the LRB 12K and LRB 12KNIGHT; 12km-capable systems featuring internal GPS, compass and inclinometer. These binoculars are able to calculate target distance, speed, and GPS coordinates, as well as conduct point-to-point measurements and height/width calculations. Many of our laser rangefinders are compatible with laptop computers, Android™-powered devices and military GPS systems. Our LRB 12KNIGHT stands above the competition even further by including a Gen 3 image intensifier that allows the laser rangefinder to be used for 24/7 target location. 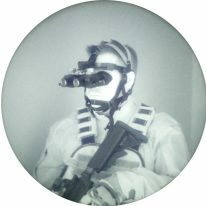 Newcon Optik is the only Canadian-origin producer of image-intensified (I2) night vision systems. We produce a wide range of I2 systems including weapon sights and clip-on systems, laser rangefinders, night vision goggles and monoculars, as well as both visible and infrared laser systems. Our NVS 14 series night vision monocular is one of our leading products and is used by military and police customers worldwide. 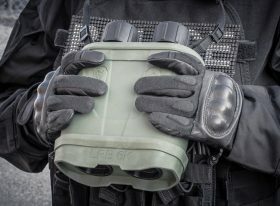 The NVS 14 night vision monoculars are designed to be highly modular and to operate in different mission profiles including head-, helmet- or weapon-mounted configurations; as a monocular or binocular device; as well as in conjunction with a DSLR, video camera or laser rangefinder for surveillance and observation operations. 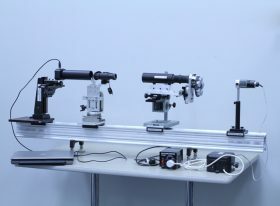 Using a combination of high-quality components and expertise, Newcon Optik designs and produces some of the finest uncooled thermal imaging devices available today. Our SENTINEL LRF long-range thermal binocular with a built-in laser rangefinder stands as our flagship device within our thermal imaging line, and our TVS 11M monocular, TVS 13M riflescope and TVC 60 clip-on weapon sight round out our short-, medium- and long-range thermal weapon sighting systems. 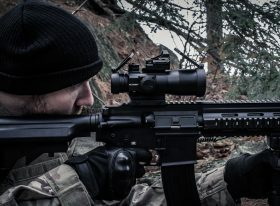 Newcon Optik produces a wide range of tactical optics including red dot sights, magnified rifle sights, military binoculars, image-stabilized binoculars, sniper detection systems and spotting scopes. One of our newer products is the SPOTTER LRF, a 3,000m laser rangefinder built inside a 15-45x magnified spotter scope. 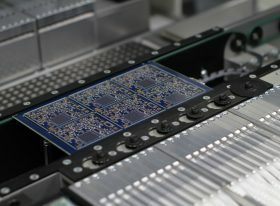 This system is the first of its kind to feature both an in-built display of target range, azimuth and inclination, as well as an RS-232 output for connection to Android™-powered devices, ballistic calculators or laptop computers.